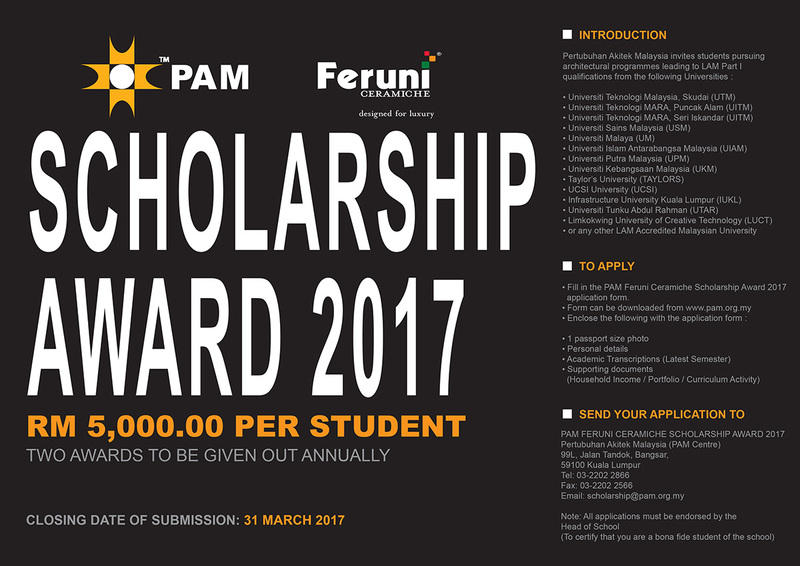 We are pleased to announce that the nomination for the PAM Feruni Ceramiche Scholarship Award 2017 is open for submission. Pertubuhan Akitek Malaysia is inviting the following Universities to nominate students pursuing architectural programmes leading to LAM Part II qualification who are eligible for this Scholarship Award. The nominated students are requested to submit the application form and endorsed by their faculty.